I worked through the night working on making sure my maps are compatible with 1.7… it’s 6am now and it’s time for bed. I didn’t get them all done, but what I did do was make this handy dandy compatibility chart which shows you which maps have been tested and/or updated to work with 1.7 in its current form. Things like Adventure Multiplex 2, and Soul Cauldron are pretty much ready for me to upload pending verification that a particular bug was fixed. If it was fixed then I’ll be good to upload those fixed versions and they will be good to go too. City of Love is a different beast all together and may take a little longer (if at all depending on how much work it will take to make compatible), let’s not even talk about multiplex 1 for now. 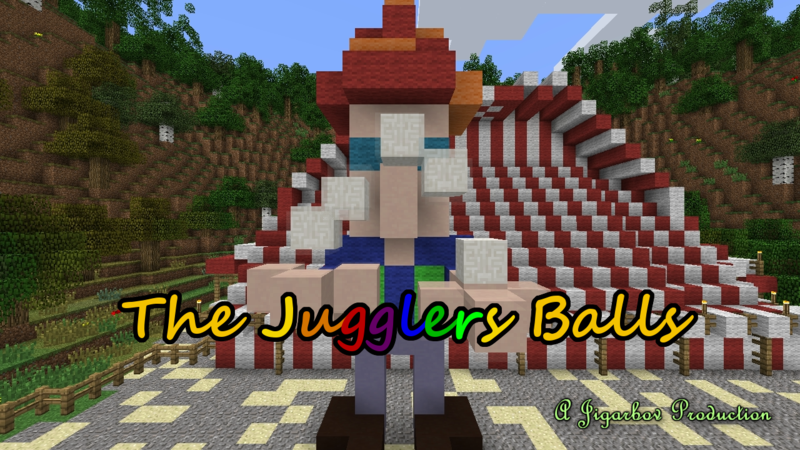 In any case, my new map “The Jugglers Balls” will be out sometime this weekend. Probably not long after I finish updating the village and soul cauldron which I do hope can be published as working for 1.7 this weekend also. Man updates are a lot of work! Marvel at the current state of the compatibility chart! As I update it, I will update it here and everywhere as well. The Jugglers Balls is the exception as it will run in 1.7.x ONLY and does NOT work in 1.6 or earlier. Update: The village was added to the compatibility list! Download now for a 1.7 compatible version. Update: Eronev 2 joins the 1.7 compatibility list! 1.7 Updates and New Adventure Map! 1.7 is almost here, and with it a whole host of new challenges. I am going to be working to update all of my maps ASAP to be working for 1.7. If you start any of the maps now, it’s recommended that you FINISH the map first before upgrading to 1.7 else you may break something. If anything is not compatible for 1.7 by the time 1.7 comes out, there will be a little status notice somewhere on this website (probably on the download pages). At least, for the most part, there are very minimal changes that need to be made. Unfortunately City of Love will be impacted the most because of the way the chat window displays text is now vastly different than before which may cause some issues, but I’ll figure that out when I get to it. Soul Cauldron has some issues with Villager trading which @texelelf has been kind enough to provide a filter that will fix said issues, and let’s not even talk about the amount of fixes that may be necessary to fix the adventure multiplex maps. You would think that with all of this work that it takes each time an update comes around so that the maps can still be played that it would put a dent in my resolve to make content. But nope. It doesn’t. My new map is coming, and it is made for 1.7 and uses a bunch of cool tech in 1.7. It’s a short map, very story and special effects focused, and_should_be impossible for rsmalec to break. The first teaser trailer is scheduled to be unlocked in some hours, which you’ll be able to view here. I hope you enjoy it.